The Montgomery County Business Hall of Fame Co-founded by Grossberg Company LLP, CPAs and Revere Bank, successor to Monument Bank, the Montgomery County Business Hall of Fame (MCBHOF) is a celebration of individuals who have made a substantial impact on the Montgomery County business community. 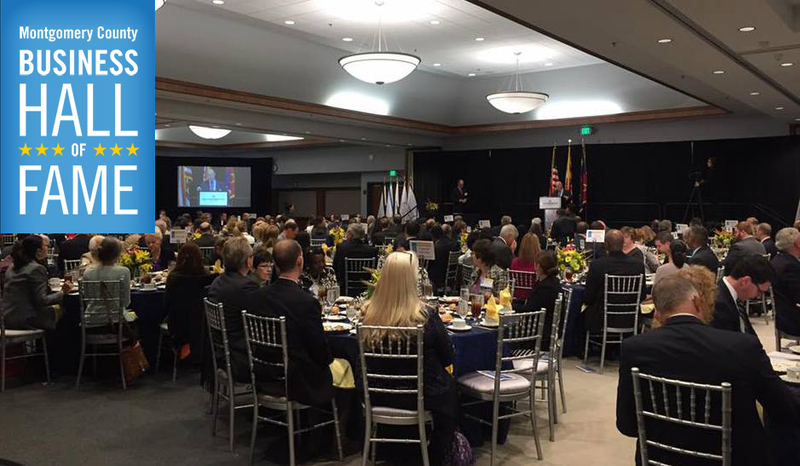 The honorees attended a special dinner on September 19, 2017 at Universities at Shady Grove Conference Center on Gudelsky Drive in Rockville, Maryland. All net proceeds from the MCBHOF will benefit the scholarship programs at The Universities at Shady Grove (USG), the University System of Maryland’s regional educational center that brings nine Maryland public universities and more than 80 academic degree programs directly to Montgomery County. The same type of vision that led to the creation of USG – to do something truly unique and extraordinary – is the type of vision the honorees all share. Natalia Luis, COO and Co-Owner of M. Luis Construction, is confident about the future of the Company. That confidence has helped Natalia and her sister Cidalia grow the business and earn them recognition as 2017 inductees into the Montgomery County Business Hall of Fame. What’s her expectation about the company? Natalia Luis, COO and Co-Owner of M. Luis Construction, is confident about the future of the Company. That confidence has helped Natalia and her sister Cidalia grow the business and earn them recognition as 2017 inductees into the Montgomery County Business Hall of Fame. What's her expectation about the company? Cidalia Luis-Akbar is one of our 2017 inductees into the Montgomery County Business Hall of Fame. She and her sister, Natalia, took over M. Luis Construction from their parents. They have grown a lot, but still call it a family business – a business that has seen hard times, fought back and thrived. Their story caught the attention of the White House and President Barack Obama in 2014.